A recent study by RAND sheds light on how crucial permanent housing is and will continue to be for the homeless population. The study was focused on homelessness in Los Angeles, a city which is known for its large homeless population. The county health department started a program aimed at ending homelessness in Los Angeles by moving frequent users of health services who are homeless into supportive housing called Housing For Health. Read more here. Thanks to a grant we received from the Baltimore Women’s Giving Circle this summer, we have been able to add a new member to the WHC team! We are pleased to introduce Maria Wetherington, our new family case manager. Read more here. Recently, United States Secretary of Housing and Urban Development, Ben Carson, announced two new proposed regulations that would be detrimental to those currently living in low-income housing or those who are already struggling to afford rent. Click here to continue reading. Here at WHC, we focus on engaging our residents in meaningful activities that will help promote good values and habits. One of the programs that we periodically engage our residents with is book club. This month, residents have been reading “Same Kind Of Different As Me,” which is about a couple who forms a relationship with a homeless man who inspires them to save their struggling marriage. Click here to continue reading. In March I heard Bryan Stevenson speak at Loyola. He is the Executive Director and founder of the Equal Justice Initiative and the author of the critically acclaimed New York Times bestseller, Just Mercy. Stevenson challenged the audience to change the narrative around poverty, drugs and social justice. What if we considered the other side of poverty not to be wealth but rather social justice - justice in terms of wealth, opportunities, and privileges within a society? Doesn’t everyone deserve to have a roof over their head and a warm dry place to sleep at night? Currently, many people do not have a fair shot at this simple concept of a safe, consistent place to sleep indoors. Click here to read more. In March our staff participated in a retreat moderated by J.C. Faulk, MSOD, the founder of Circles of Voices, LLC, a diversity and inclusion consulting firm. Faulk led our team in exercises around communication, culture awareness, and team building. At Women’s Housing Coalition, we believe that there are No throw away people. Not even if they’ve been homeless. Not even if they’ve struggled with mental illness or addiction. Not even if they have kids. Click here to read the rest of Beth's speech. If you are from Baltimore, it might not come as a shock when we say Baltimore’s public transportation system is lacking in many ways. Baltimore has only one subway line that runs from east to west and one rail line that runs from north to south. These two systems only intersect in one place, making it very hard to go from point A to B without having to make many stops and detours along the way. Recently, you may have heard that the city of Baltimore broken up several homeless encampments. In particular, the one that was situated under the Interstate 83 overpass. In the span of six hours, all persons and their possessions were cleared out. Twenty-five people were moved into a temporary housing program, while others decided to stay in downtown emergency shelters, with several walking away … with no plans or destination. Click here to continue reading. We are coming up on our 39th year serving women and their families in need. This is the perfect opportunity to reflect back on how far we’ve come as an organization, and how far we still have to go as a nation. Click here to read. February is Black History month. Here at Women’s Housing Coalition, we are celebrating the many contributions of black females. On Facebook during February we have posted, and will continue to post on #WomenCrushWednesday (#WCW), black women that have made significant contributions to our society. Keep reading here. As many of you probably already know, the new tax bill recently passed Congress, which may unfortunately have some detrimental impacts to affordable housing and nonprofits like WHC. Click here to read more. A friend of mine called me this morning and talked about a wonderful effort he participated in on New Year’s Day. A group of volunteers organized a coat and blanket give-away (among other things). He stated that it was a great event to participate in and set the year off right. It made him feel good and clearly made a difference in the lives of the individuals who are experiencing homelessness as well. In the midst of all that great effort he saw small things that just seemed a bit off. He and I then asked lots of soul searching questions that we just couldn’t answer immediately. Read more here. This past September, “Renters Week Of Action” was held in 45 cities across the country to raise awareness to the housing crisis that is taking place in the United States and right here in Baltimore. Click here to read more. It’s that time of year again: the holiday season! While the holidays are an exciting time for many of us, for others it is a time when it is hard to ‘be expected to be happy.’ With holidays being advertised as a time of the year to show love and appreciation through excess, many people struggle with past mistakes, extremely tight budgets, and focusing on maintaining sobriety or positive mental health. Click here to read. As most of you are probably aware, Maryland recently passed a law requiring schools to not begin the new school year until after Labor Day. It leaves very little room for schools to wiggle out of the new rule, with the exception of schools that qualify for a waiver from the Maryland state school board. School’s must be considered low-performing, at-risk or a charter school to apply. Read more here. We are very happy to be working with the Center For Mindful Awareness to bring The SHINE Program to the Women’s Housing Coalition! SHINE (Support Honor Inspire Nurture Evolve) is a carefully structured nine week series of workshops, firmly anchored in current cognitive neuroscience. Participants of the program meet for weekly sessions: meditation, learning and practicing informal mindful awareness skills, conversation and reflection. Read more here. As you read this right now, take a moment to look at the space around you: are you sitting in a comfy chair? Do you have the TV turned on to your favorite show? Can you smell dinner cooking in the background? Chances are, you are reading this at home, in a space where you feel safe and comfortable. Read more here. There were 140 human beings last year that the Women’s Housing Coalition assisted in getting off the streets, in staying off the streets and given a home. Read more here. There are so many different ways you can give back to your favorite cause (and we hope that the Women’s Housing Coalition is on that list!) Putting together your own fundraiser is one of the many ways to garner community support and awareness for a cause. Here are 5 ways you can take fundraising into your own hands. Read more here. In Maryland, a person would need to make $26.53/hour to adequately afford a two-bedroom with average rent. Obviously, this is much higher than the current minimum wage of $8.75 an hour. Read here. We are so excited to announce our third annual The View From My Room event will take place this April 27th at the Cylburn Arboretum from 6-8:30 PM. This event is in support of our mission to help women and their children achieve lifelong housing stability. Read more here. The future of Housing and Urban Development (HUD) has been unclear for the past few months as the new government was getting budgets and plans together, but we recently got a clearer idea of what the future holds for this department. President Trump recently released his ‘America First’ budget blueprint, which included severely reduced spending in HUD, while drastically increasing the defense budget. Read more here. Pending Healthcare Changes: What Does It Mean? Housing and healthcare are essential, basic tenets to living a successful life. Without access to affordable health care, many American citizens would be unable to take care of themselves and their chance at a successful life would therefore suffer. Read more here. The Women’s Housing Coalition is expanding our staffing and volunteering base in 2017. Due to the rising need of assistance for the chronically homeless women in Baltimore, we are adding additional team members in response. Read more here. The Mayor’s Office Of Human Services in Baltimore gathers data from various sources to estimate the extent of homelessness in the city. Once a year, a PIT (Point-In-Time) survey is conducted. This one day effort attempts to create a “snapshot in time” of the homelessness in cities. Read more here. Thank You To Our 2016 Corporate Sponsors! Another year has passed, and we are looking forward to the year ahead in furthering our mission with awesome programs and events! In 2016, we served 107 women and 44 children and opened two gym spaces to better support our women in achieving their healthy living goals. Of the women we housed for at least 6 months, 95% met two or more of their Individual Service Plan goals. We could not have accomplished what we did in 2016 without the help of some amazing corporate sponsors. Read more here. With 2017 comes a year of big changes when it comes to government officials. Ben Carson will now be leading the Department Of Housing And Urban Development (HUD) under the Trump administration. With any cabinet change, there is always uncertainty and fear for the future because we don’t yet know what changes the appointee will make to the current laws and regulations. Read more here. Our story begins in 1979 with a group of women who wanted to reduce the distressing number of homeless women in Baltimore. Flash forward just one year later and that same group of women began finding buildings where these homeless women could go and begin to live again. Read more here. At the Women’s Housing Coalition (WHC), our number one goal is independence. Although giving our residents a safe, clean place to live is part of that process, it is just one piece to the puzzle. We believe that a combination of housing and programs is what sets these women and their families on the path to independence. Read more here. Women’s Housing Coalition is once again taking a part in the global movement that is #GivingTuesday on November 29th, 2016. 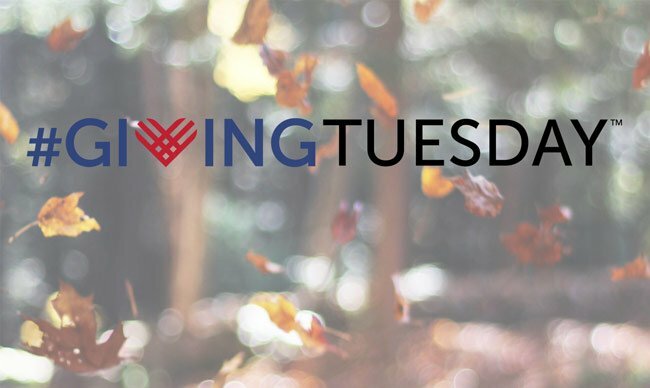 Giving Tuesday is a day of giving back that takes place on the Tuesday after Thanksgiving. On this day, nonprofits across the globe ask supporters to come together to support their cause and give back, whether that be with their voice, their time or with a donation. On November 29th, join us in the movement by using the hashtag #GivingTuesday to explain how you’re contributing on that day. Read more here. Recently, the City Of Baltimore announced that a new three-year plan was being considered that would raise water bills by about 33%. In addition to this spike in water bills, two new fees would be introduced, an account management fee and a infrastructure fee. The account management fee would be a set amount while the infrastructure fee would depend on the amount of usage per meter. Read more here. What do you expect during the holidays? It’s the ‘most wonderful time of the year’ again, the holiday season! Everyone is a little nicer to one another, family comes to visit and there’s just a feeling of love and happiness in the air. At least, for most people. Read more here. The holidays are officially here, and as stores are gearing up to promote their Black Friday sales and families are organizing their Thanksgiving dinner meals, our minds are on the Tuesday after these two days, #GivingTuesday. Giving Tuesday is a worldwide day of giving back, powered by social media and community collaboration. This day also is the official ‘kick off’ of the holiday season, the time in which nonprofits will receive the majority of their donations for the year. Read more here. Recently, our ladies were able to enjoy a special day, making a trip to the new National Museum of African American History and Culture in Washington, D.C. The opening of the 19th Smithsonian museum marks an important time in American history and it’s significance in our country and culture should not go overlooked. The museum holds almost 37,000 objects and explores everything from the Civil War, slavery, politics and religion. This outing gave the residents a sense of hope, added self esteem and value as well as being a wonderful day away from the hard work of their lives. Read more here. For many of our residents, inconsistent living conditions and poor life situations are just a part of their everyday life. We probably don’t realize how much of an impact our homes have on how we live our lives, but they influence us much more than you may think. Have you ever thought about why, when your home is a mess, you feel anxiety? This is the same thought process, multiplied by 100 for many of our residents. Read more here.